Steven Soderbergh has no problem experimenting, and this film proves that it can pay off. A short and enjoyable Netflix film from a legend that reinvents himself regularly. Throughout his career, Steven Soderbergh has told a variety of stories through a plethora of ever-changing techniques. 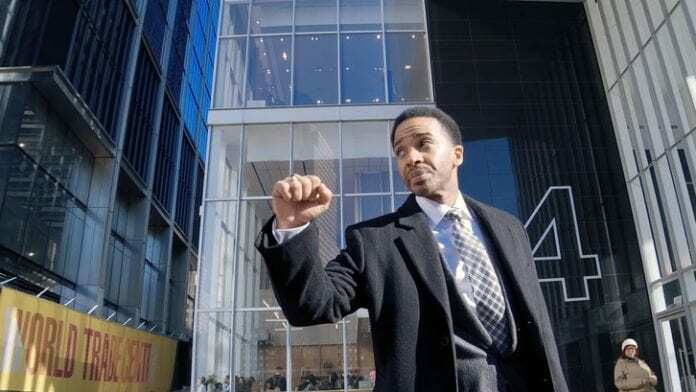 He is at the forefront of experimentation while remaining palatable, and his latest film High Flying Bird is no exception. Soderbergh adapts his style so often, not because he is looking for what suits him best, but more importantly, what suits the story properly. Best of all, this story simultaneously feels like new territory for the director while remaining true to the core of most of his films. Self-improvement is right around the corner, and High Flying Bird expertly brings the viewer right in front of it. Firstly, it’s difficult to not address the most impressive aspect of this film. It’s the second film Soderbergh has shot on an iPhone, after Unsane, yet it seems to work much better here. It proves two points about the film and the industry as a whole. 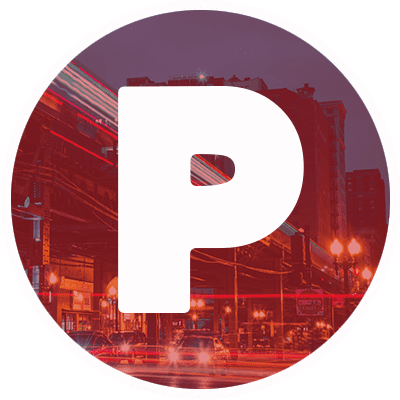 Primarily, it is that this technique could clearly be implemented much more frequently in the future. It’s not as noticeable as Unsane suffered from at times, and frankly, it’s downright impressive. Secondly, it allows the film to feel much more grounded. 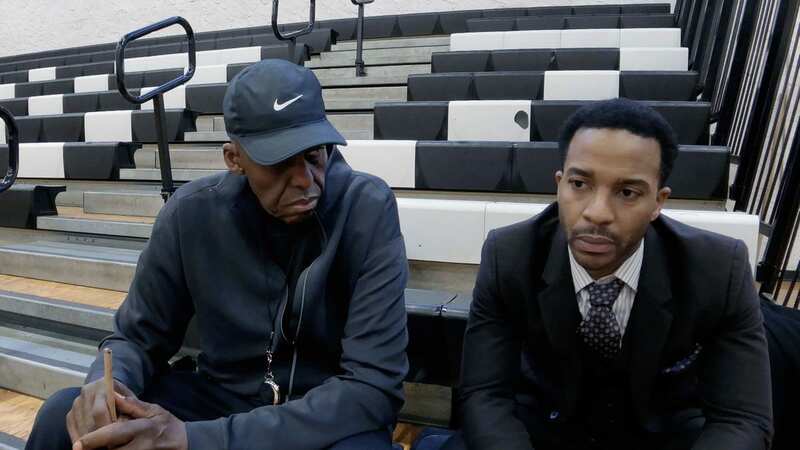 High Flying Bird almost feels like a documentary on ESPN at times, and this element of realism is crucial to the entire premise. André Holland as Ray and Bill Duke as Spencer as Steven Soderbergh’s HIGH FLYING BIRD. This is not a conventional heist film by any means, and rightfully so. 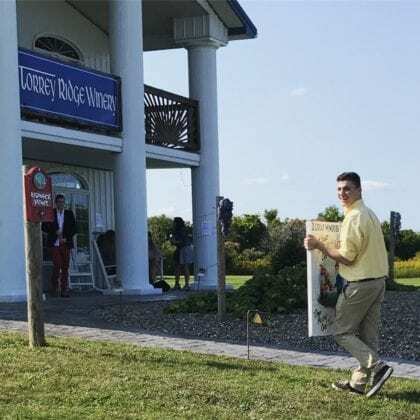 To even call it a “heist” can be debated, but by the end, it truly has the feeling of one. Written by Tarell Alvin McCraney of Moonlight acclaim, the story is grounded in a concept that is examined from a multitude of angles. At its core, High Flying Bird is about reclamation through any means necessary. Basketball just so happened to be the topic that was chosen. It’s also important to note that non-sports fans shouldn’t fret. Through a sharp and intelligent script, the film relies more on themes rather than sports knowledge to explain itself. Luckily, this script is paired with an excellent circle of performances. André Holland leads the film effortlessly. It becomes clear from the very moment he opens his mouth that no games are being played. He is quick-witted, charming, and everything you could hope for in a protagonist. Zazie Beetz plays her usual delightful and sarcastic self, although it would have been nice to see her have a bit more to work with. Kyle MacLachlan’s screen time is sparse, but he makes sure his cockiness and arrogant attitude are clear. The same can be said about Bill Duke, although he provides many excellent moments of self-reflection and wisdom instead. 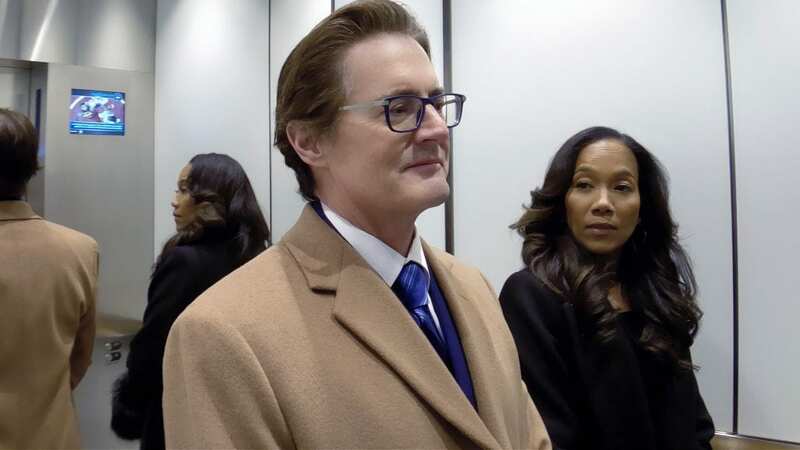 Kyle MacLachlan as David Seton and Sonja Sohn as Myra in Steven Soderbergh’s HIGH FLYING BIRD. However, High Flying Bird is not without its minor faults. At 90 minutes, this is a quick watch, yet it runs through a lot. Paired with a script that works at breakneck speeds, the inner workings of the story beats can become confusing. The underlying reasoning is all there which holds it together, but a slightly extended runtime could have partially allowed for a more concrete flow. Although, this qualm could also be intentional, judging by how league disputes can vary in length so quickly. Secondly, there are real interviews with rookies that are interspersed throughout the film. They almost function as chapters in the film. While interesting, they could have worked better as bookends on the film. This would allow for more processing of events as opposed to quickly moving into the next hurdle being faced. Nevertheless, High Flying Bird is wildly entertaining for the entirety of its runtime. The film takes a somewhat niche subject and presents it in a very broad manner, yet never feels as if it is pandering. Not to mention, it is extremely refreshing to see a film that is so unconventional in such a multitude of ways. First, Soderbergh opted out of a limited theatrical run and went with a Netflix release. Then, it becomes a “heist” film that feels unlike any other in recent memory. Finally, it wraps so succinctly that you may want to watch it again the next day. High Flying Bird has a release strategy that pairs perfectly with its theme. Hand holding is unnecessary when everything one needs is directly in front of them. It is a testament to Soderbergh’s talent and proves that whatever subject he tackles, whether you are interested or not, it can be presented in a new light. What are your thoughts on the latest film from Soderbergh? Is this an improvement upon his more recent work? Let us know in the comments below!